Google Music - soundseeder.com | Play music simultaneously on multiple devices. 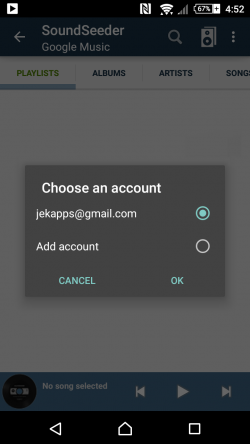 Note: This feature requires the Google Play Services installed on your device. If the Google Play Services are available, you can access all your Google Music songs directly in SoundSeeder. 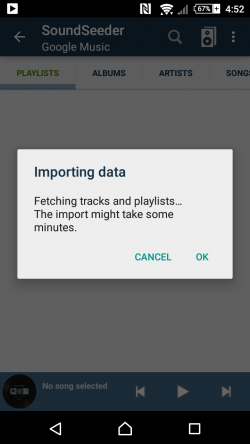 First of all select a Google account and start the import of your Google Music library into SoundSeeder. 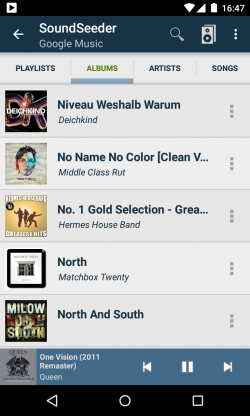 After the import is completed you can browse and select your Google Music songs like locally stored media.